It is hard to believe something so delightful and enjoyable has so many good benefits. Stretching, breathing and bending feels great, plus it alleviates many health issues naturally, without the use of modern medicine. 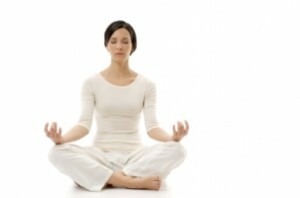 Yoga has been practiced as far back as 5,000 years for the purpose of attaining enlightenment. Today yoga is a widely popular way to reduce stress, increase flexibility and build strength, yet the cosmic element still exists. For some reason, when we practice yoga, we feel happy and content. It doesn’t need an explanation, just the mere enjoyment of rolling out the mat is enough to want to stick with it. The following is a list of some of the greatest benefits a regular yoga practice provides, for all levels of abilities. We do not have to be flexible to do yoga; we gain flexibility by doing yoga. With a consistent practice, those tight hamstrings lose their grip on our hips and, as a result, free up tension in our lower backs. A healthy lower back is an asset when we get older and yoga supports this. Yoga may seem effortless as we blissfully reach for our toes, however some yoga poses really challenge our physical strength. The best part about strength training with yoga is the incidence of injury is very low. We can develop strong muscles without over doing it, as we might while lifting weights, if we are not careful. The muscles of the arms, legs, hips and lower back get very strong by practicing yoga, without getting “bulky”. All yoga classes will incorporate balance poses into the routine, and some basic poses themselves require a sense of balance to perform. Standing on one leg, or balancing on our hands helps us to improve our balance and stability. As we age, we tend to lose our balance, but by practicing yoga we can better maintain it. Several yoga poses twist, massage and nudge toxins out of our internal organs. Others stimulate the glands such as the thyroid gland, and assist in healthy metabolism, elimination and other such functions. The skin glows as a result of the body detoxifying, and all systems function harmoniously as a result of flushing the body with fresh blood and oxygen. It is very unlikely you will ever leave a yoga class feeling stressed out or agitated. The last five or ten minutes are almost always reserved for the “final relaxation” pose, where you get to rest, relax and feel rejuvenated. In this pose, your mind and body assimilate the benefits as you stretch, bend and breathe. With strength, flexibility, a sense of balance, glowing skin and inner peace you will feel fabulous. There is nothing better than waking up loving who you are, appreciating your body and celebrating your inner self. Feeling the strength you gain and continually being surprised by what your body can do will boost body image and self confidence. A consistent yoga practice gives you a healthy relationship with yourself on all levels; physically, energetically, emotionally, mentally and spiritually. It is no wonder yoga has been around for so many years and is so very popular today. The benefits are far reaching. Yoga can be practiced anytime, anywhere and by anyone. Will it still be here 5,000 years from now? I think so.